Surveillance investigators identify topics where new evidence is emerging. Two new indicators of CKD have been added to the resources on this site. Healthy People 2020 provides national objectives for improving the health of all Americans. Fourteen (14) objectives focus on kidney disease, including end-stage renal disease (ESRD). Several indicators from the CKD Surveillance System provide related information for these objectives. 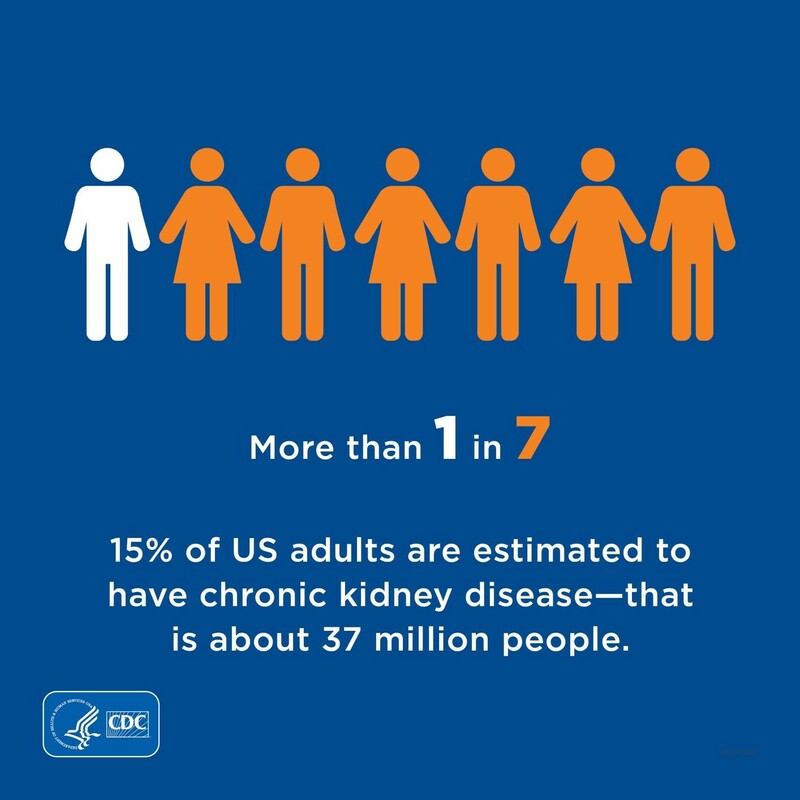 View national estimates and general information regarding CKD in the United States. The Chronic Kidney Disease Initiative is designed to provide comprehensive public health strategies for promoting kidney health. Centers for Disease Control and Prevention. Chronic Kidney Disease Surveillance System—United States. The information on this site is designed to provide a picture of CKD in the country and reports aggregate data on various groups of people in the United States. Information for people living with kidney disease, or at risk of developing kidney disease, and their friends and family members is available from the National Kidney Disease Education Program.